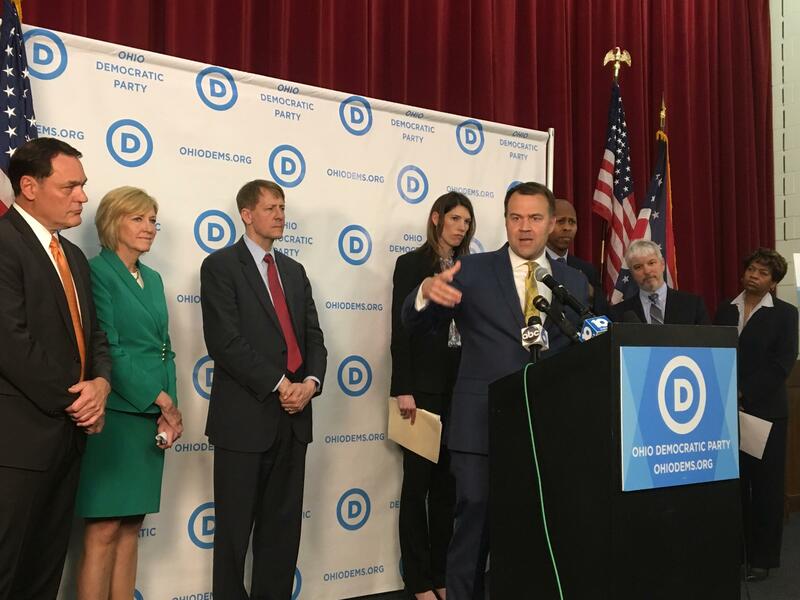 What Is Next For Ohio Democrats? This week’s election underscored some weaknesses for Ohio Democrats. The party’s candidates lost all of the statewide executive offices and gained seats but also lost some in the state House and Senate. This has left many wondering where Democrats in Ohio go from here. When you look at the vote totals in northeast Ohio in 2010, you’ll see the Mahoning Valley area was a solid Democratic area. But looking at the outcome in this election, it’s clear Democrats have lost ground there. And to Graig Graziosi, a reporter with the Youngstown Vindicator, the numbers were not shocking. “We weren’t totally surprised to see that," Graziosi says. Many voters and pundits said this election was a referendum on President Trump. And while his tough tone and unusual candor might turn off some Democratic voters, Graziosi says you have to remember that’s not the case so much in the Mahoning Valley. “A lot of those Democrats were people who voted for Jim Traficant when he was here who, I don’t know if you remember Jim Traficant but that guy was just as blustery as Trump ever was so they respond well to that populous base," Graziosi says. David Skolnick has been the Vindy Politics writer for years. He says it’s important to remember that not only has Youngstown itself become less Democratic in recent years but the counties around it have changed too. “Columbiana County has gone from a purple county to an extremely red county," Skolnick says. “Most of the people in my neck of the woods feel that they didn’t leave the Democratic Party. The Democratic Party left them," says David Betras, the chairman of the Mahoning County Democratic Party. He says Republicans and President Trump have tapped into issues people in his area…and other parts of Ohio care about – jobs, economy, fair trade. “I hate to say this but I’m sick of him winning. Ohio, I think, has become permanently red. Ohio is no longer a purple state. I mean if you look at the last 32 years, we’ve only had the state government four years. What’s that tell you about our state? It’s red. It’s red," Betras says. So what does Betras think the party can do to draw those voters back into its fold? “Well that’s the $64,000 question. We may have permanently lost them. In other words, they don’t believe the Democrats have their back any more," Betras says. Ohio Democratic Party Chairman David Pepper isn’t buying into that explanation. He says there are several things at play here. One, he says, is gerrymandering. That might have an impact on candidates for legislative seats but that’s not a factor for statewide candidates. Pepper says it also wasn’t a matter of the party not having a robust “get out the vote” effort. “They hit the numbers. Rich Cordray hit the number over two million. No candidate has ever run for governor in Ohio as a Democrat and got two million and not been governor," Pepper notes. Pepper says the rest of the statewide candidates also hit the numbers they’d need to win in a normal election. But he says this election was different. “Trump plays a uniquely effective role in Ohio," Pepper says. But Pepper explains there are some reasons for Democrats to be happy. He notes, unlike some other states where Democratic U.S. Senators fell to Republican opponents, Sherrod Brown won re-election. And he adds the party had some victories at the Statehouse and on the local level, not to mention two new members on the Ohio Supreme Court. One of them even unseated a sitting justice. Pepper says Democratic leaders are pouring over the data from this election and will be talking about what needs to be done to bring Democrats back into the fold in future elections. And he thinks that will happen. So Why Did Voters Decide Two-Year Council Terms Are Better? When Cincinnati's next council is elected in 2021, members will serve two-year terms instead of the current four. Chris Monzel says he wants to return to public service someday, but first, he has some projects that need finishing around the house. Monzel lost his seat on the Hamilton County commission to Democratic challenger Stephanie Summerow Dumas by about 8,400 votes in Tuesday's general election. 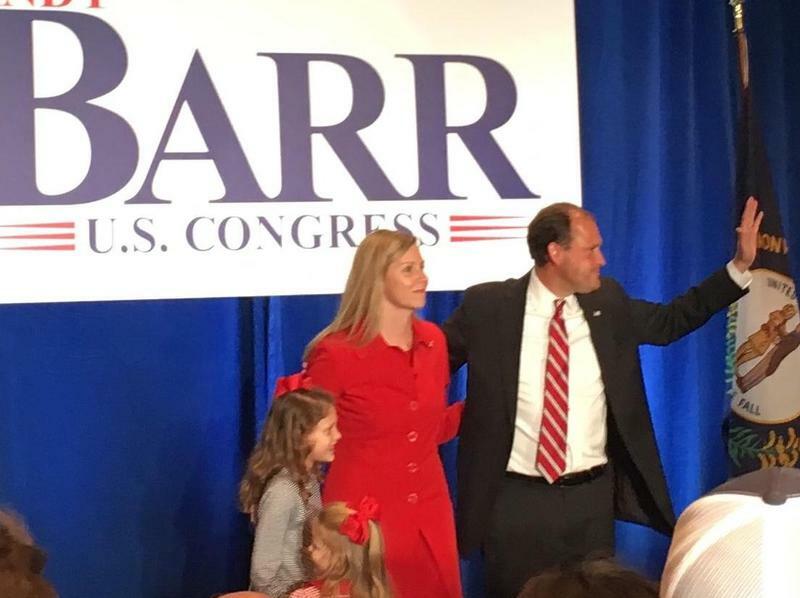 Sixth District GOP Congressman Andy Barr held off a challenge by first time candidate Amy McGrath, a retired Marine fighter pilot. The three-term U.S. Representative admits divisiveness in politics needs attention. “We are a people, who rose from the rugged pioneer spirit which built this country. And there is no reason why Kentuckians can't lead a political and spiritual renewal to go along with our nation’s economic revival,” Barr said. Barr thanked McGrath for stiff competition, saying it made him a better leader and better Congressman. For her part, McGrath promised to remain an active voice in Kentucky.